JDM Pedals Green Meanie: The Best Distortion Pedal for Bass Guitar? Whoa… heavy statement. There is a lot of competition out there for bass distortion pedals, so what makes the JDM Pedals Green Meanie so special? Green Mode: This mode uses a single-stage distortion, keeping your signal from getting overly clipped and losing dynamics. 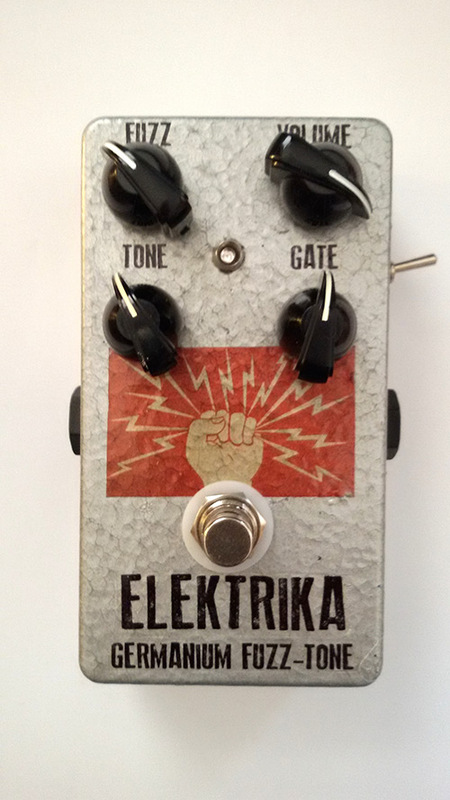 Driven by a new old stock Germanium transistor, this mode retains your dynamics and creates a full but moderate overdrive. Unlike standard “Muff style” pedals, your bass tone won’t lose it’s attack, remaining well defined in the mix. The “Density” knob. Although we recommend cranking this up on bass for maximum low end penetration, it is also a great way to trim away overly strong low end “mud” if the mix is full of other elements, or when the bassis fighting for space with a huge kick drum. The “Mid” control. This is sorely missing on most Muff-style distortion pedals, and midrange is what your bass needs to maintain presence and definition in the mix. The second harmonic distortion in the “Green” mode is particularly good at making bass tracks “pop” thru in any mix. Even when you wouldn’t imagine that bass distortion would fit the bill, the pedal doesn’t sound “distorted” at moderate gain levels, but adds a liquid warmth and thickness to your tone thanks to the Germanium gain stage. You can tune the JDM Pedals Green Meanie to get everything from a lightly driven “growl” (akin to a fairly cranked Ampeg tube amp) to cranked Wall-Of-Fuzz tones, and a whole variety in between. Backing off on the “Density” knob can also keep the bass from becoming overwhelming in resonant rooms, or make it fit better into a mix that also includes electronic bass or synths. So have a look/listen to the video, and consider adding the JDM Green Meanie to your arsenal of bass effects!